Don’t get burned by the a7S II’s very specific memory card requirements. Get the right cards to unlock the camera’s full potential. Sony’s a7S II shoots high-quality video in a variety of formats all the way up to 4K resolutions. This is awesome, but it means you may need some new memory cards to access all of the camera’s features. While some other cameras might give you some leeway when using lesser cards, the a7S II simply disables certain features (such as HD or 4K video recording with the XAVC-S codec) if the memory card does not meet its requirements. Make sure you never get stuck out in the field with a crippled camera due to using the wrong card. This guide covers everything you need to know about choosing the right memory card for the Sony a7S II. 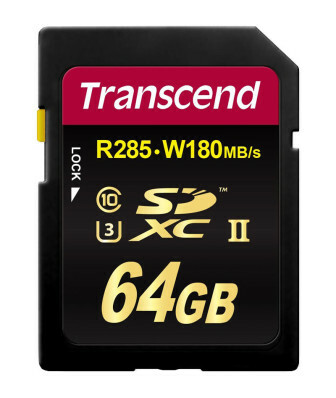 Transcend 64GB U3 SDXC card (Quantity: 4+) — Each card holds about around 90 minutes of footage. I recommend getting at least 4 cards to get you through a full day of shooting. Pelican 915 SD Card Case — Protect your memory cards with this shock-resistant hard case with form-fitting cutouts that securely hold up to 12 SD cards. SDXC cards were developed to support high storage capacities from 64GB up to 2TB. Additionally, SDXC cards use the exFAT file system to support the large files that can be produced when recording video at high bitrates with cameras like the a7S II. By comparison, files are limited to 4GB in size with the FAT32 file system used by other card types. UHS Speed Class 3 (U3) was developed to deliver the necessary write speeds for cameras like the a7S II that shoot 4K and high-bitrate video. U3-certified SD cards must be able to maintain a minimum write speed of 30MB/s to ensure that recording continues smoothly without any dropped frames. 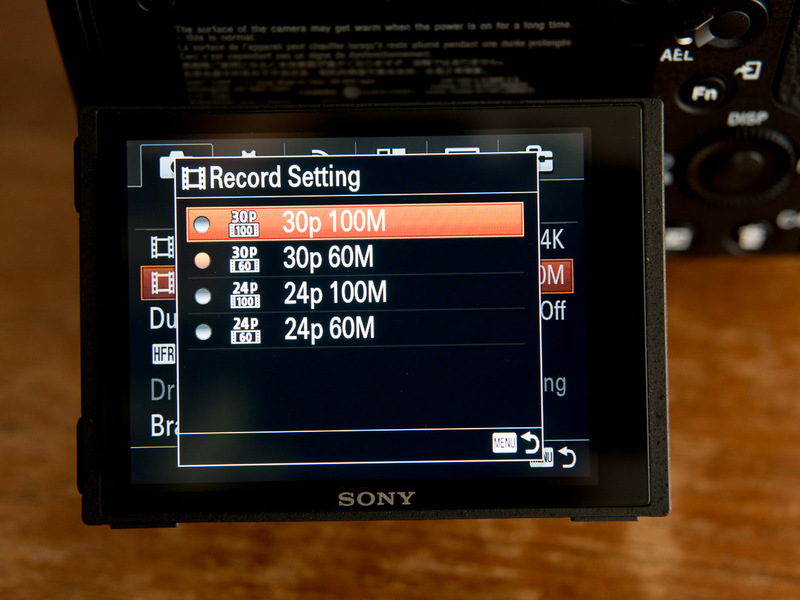 These are the two key features an SD card must have to be used with the a7S II. However, Sony’s cameras have a reputation of being quite finicky and there are reports of issues with SD cards from certain brands even though they supposedly support these features. 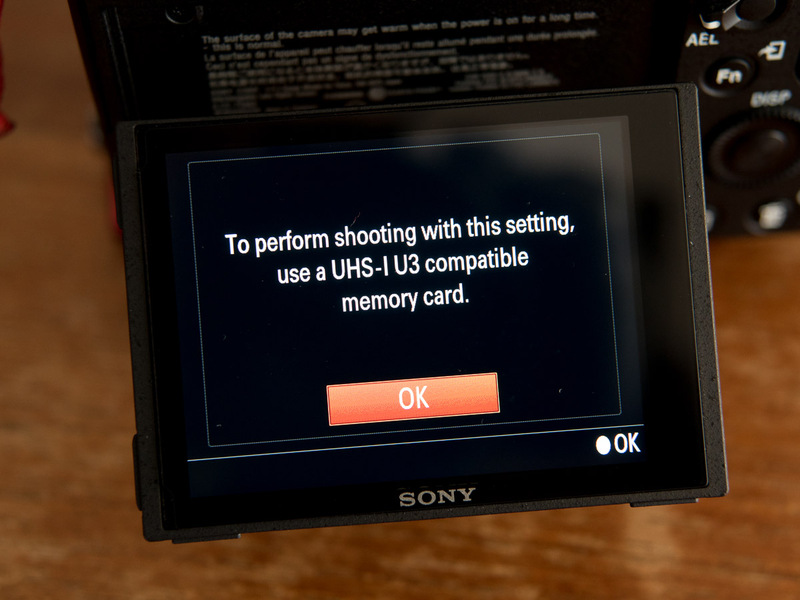 To help you select memory cards that perform reliably in the a7S II, a list of SDXC U3 cards that have been tested with the a7S II is provided later in this guide. Bottom line: The a7S II requires SDXC cards with U3 write speed certification to enable full access to all of its functionality. The bitrate is the amount of data being written to the card each second when shooting video. As such, higher bitrates need a card that can maintain a high enough write speed to avoid any dropouts. This is where the U3 write speed requirement comes into play– with a guaranteed write speed of at least 30MB/s, a U3-certified memory card should handle any of the a7S II’s recording modes with ease. Note: The a7S II can also record at lower bitrates that you shouldn’t really concern yourself with– ever. In fact, you should avoid any recording mode that doesn’t provide a bitrate of at least 50Mbps. Bottom line: The a7S II shoots at a maximum bitrate of 100Mpbs, and a U3 card ensures that there the video will be recorded without any dropouts. It’s easy to become overwhelmed by all of the a7S II’s different recording modes and wonder whether a memory card will work for all of them. Let’s keep things simple: When it comes to memory cards, the only thing that matters is the bitrate. If the card’s write speed can handle the bitrate, you’re good to go, regardless of the resolution– 4K, HD, or otherwise. In other words, a card that can handle HD footage at 100Mbps can handle 4K footage at 100Mbps just as well. The size of the frame may be differ, but the amount of data being pushed to the card is the same. Bottom line: Don’t worry about resolution or frame size when choosing memory cards. A card with a write speed fast enough to support the camera’s bitrate is all that matters. Video bitrates are described in Mbps— megabits per second– while memory card write speeds are measured in MB/s— megabytes per second. Megabits (Mb), megabytes (MB)– what kind of difference can a bit of capitalization make? A big difference, actually. This means that the a7S II’s maximum bitrate of 100Mbps is actually 12.5MB/s (100∕8 = 12.5) in memory card parlance. If it sounded like a U3 card’s 30MB/s (megabyte) minimum write speed was too low for the a7S II’s 100Mbps (megabit) bitrate, it should now be clear that 30MB/s (i.e. 240Mbps) is more than enough. Bottom line: Capitalization matters. Be careful not to confuse Mb (megabits) and MB (megabytes). They are quite different and could cause you to spend way more on memory cards than you need to if you mix them up. 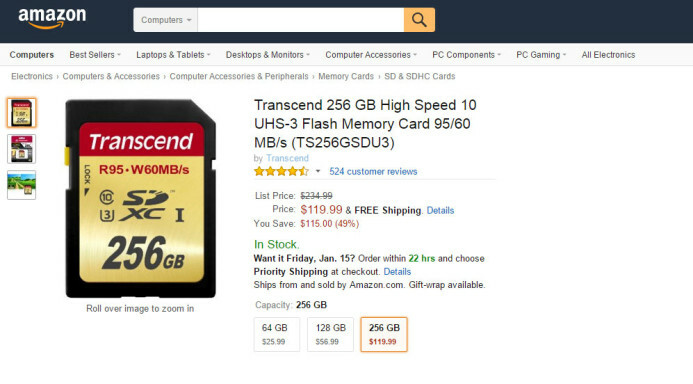 Megabits and megabytes may be confusing, but things start to get downright silly when you look at the different speeds advertised by different memory card brands. 300x, 600x, 80MB/s, 95MB/s, etc.– it’s like they’re trying to make things as confusing as possible. What do all of these numbers mean? Nothing— at least not for you. First of all, these numbers refer to the maximum speed a card can reach– their peak speed. However, when shooting video, you’re only concerned with the minimum write speed, because if the card writes too slowly even for just a moment, your camera stops recording and you lose the shot. Secondly, these numbers are especially meaningless because they actually refer to the card’s read speed, not its write speed. This might be useful if you’re buying a memory card for playing videos on your smartphone, but when shooting video, only the write speed matters. On top that, these numbers are not at all standardized across different brands of memory cards, so you have no consistent baseline to evaluate them from. This is why the U3 rating on the card is so important, as it is a rating standardized by the SD Association to indicate that the card’s minimum write speed is fast enough for cameras like the a7S II. 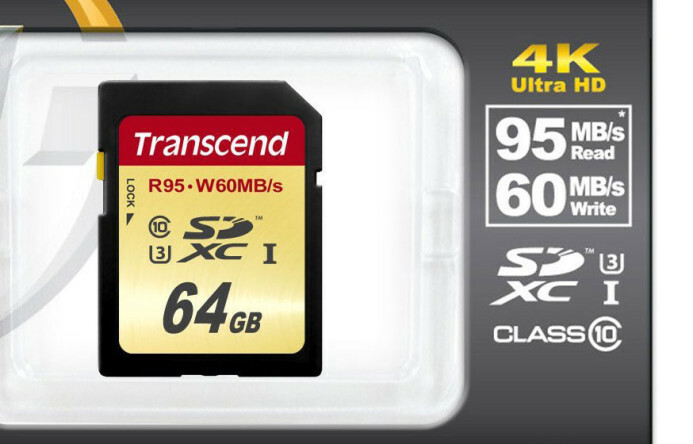 Bottom line: Don’t be fooled by big numbers plastered on memory cards. It’s just marketing. The U3 logo is the only standardized speed rating you should be looking for. 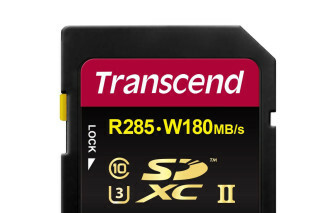 UHS-II SD cards are the latest class of high-speed memory cards that offer speeds of up to 312MB/s. Sounds awesome right? Of course, we now know that 312MB/s is actually 2496Mbps, which means UHS-II cards are overkill to the max for the a7S II, which only shoots at bitrates up to 100Mbps. You won’t get any more performance from an expensive UHS-II card than from a standard U3 card when shooting with the a7S II. That said, there is one benefit a UHS-II card can provide– faster offloads. Current UHS-II cards offer read speeds up to 285MB/s, while UHS-I cards max out at about 100MB/s. This means your footage can be offloaded nearly 3 times faster with UHS-II cards as long as you have a UHS-II card reader, a fast connection (e.g. USB 3.0 or Thunderbolt), and a fast hard drive (e.g. SSD) to copy the footage to. Finally, it’s important to remember that “U3” does not mean “UHS-III”. U3 is the abbreviation for “UHS Speed Class 3”. It’s a speed class used for all UHS card types, which means that both UHS-I and UHS-II cards may (or may not) be U3-certified. Bottom line: UHS-II cards won’t be any better than UHS-I cards when shooting with the a7S II despite their much higher cost. They may allow you to offload footage faster from the cards though, as long as you have a compatible card reader and a fast hard drive. Card Capacity: Can You Have Too Much? It’s a fact of life– like all storage, memory cards fail. It’s not a matter of if a card will fail, but when. It’s never a good time when a card fails, but when it does, you want to minimize the amount of footage you’ll lose as much as possible. A 64GB card can hold about 90 minutes of footage from the a7S II when shooting at 100Mbps (its highest bitrate). If the card fails, you stand to lose 90 minutes of footage. However, if you’re shooting with a 128GB card which can hold double the footage (about 180 minutes), you stand to lose a lot more. A larger card will get swapped out less often, which means it could be days before you offload the footage and back it up. Losing days worth of footage would be hard for any production to bounce back from. I recommend using a card that can store between 1 and 2 hours of footage as it strikes a good balance between the amount of cards you’ll need to carry and the amount of footage you could lose if a card fails. This makes a 64GB card the right fit for the a7S II’s bitrates. If the a7S II shot at a higher bitrate, then a memory card with a higher capacity would make sense, but with maximum bitrates of 100Mbps, you’re putting all of your eggs in one basket when you use larger cards like 128GB and higher. Buying in bulk usually gets you a better unit price, but it doesn’t really work out that way when buying SD cards. For example, a 128GB card generally costs about the same (or more) as two 64GB cards, meaning you’re not saving any money when buying a higher-capacity card. 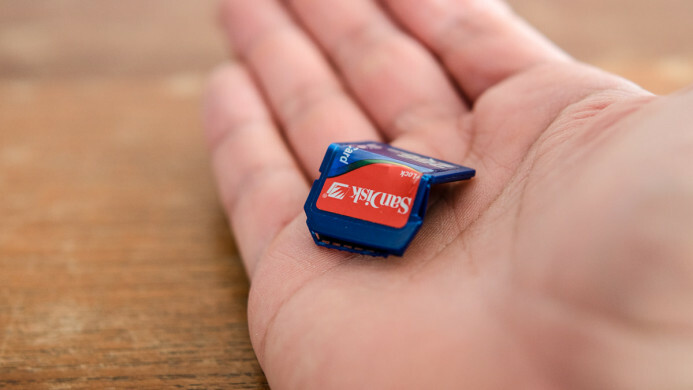 SD cards are barely larger than a postage stamp. Your pockets aren’t going to burst by carrying four 64GB cards instead of two 128GB cards. In fact, you’ll barely notice the additional cards. Bottom line: While the a7S II can support large card capacities, 64GB cards are recommended to minimize the risk of losing footage, to get the best value for your money, and because carrying a couple more cards won’t weigh you down at all. I would love to say that as long as you choose SDXC cards with the U3 logo you’re good to go. Unfortunately, Sony’s camera’s can be a bit temperamental, and there have been reports of some cards not working properly even though they have all the right logos in the right places. Transcend’s 64GB SDXC U3 card is the best bang-for-buck card out there. It matches or exceeds the performance and reliability of other brands while still coming in at a lower price. I’ve shot hours of high-bitrate 4K and HD footage with Transcend’s cards, and while a card may fail in the future, I have not had any issues yet. SanDisk’s cards cost a bit more than Transcend’s cards, but many prefer to choose a more familiar brand like SanDisk and that’s totally cool. Just know that you’re paying a premium for the name recognition, not necessarily the card’s performance. Also, make sure to buy SanDisk memory cards directly from authorized dealers (not third-party merchants on Amazon or eBay), as there’s a good chance you’re buying a counterfeit card otherwise. SD card are wafer thin and light as a feather, but that doesn’t mean you should carry them loosely in your pocket. SD cards are can also be bent or broken relatively easily, so you should protect your cards when they aren’t in the camera. I use Pelican 915 SD Card Case. This case has a hard shock-resistant exterior and a locking clasp with a water-resistant seal. The inner liner has custom cutouts for holding up to 12 SD cards securely in place. Despite all of the protection this case offers, it’s still slim and light, so it slides easily into your camera bag or your pocket giving you quick access to your memory cards whenever you need them. It would be great if you could just grab any old memory card and start shooting, but if you want better quality, cameras may need to be a bit more selective about the memory cards that they support. Thankfully, once you know the key features the a7S II requires, choosing a memory card is pretty straightforward. Use the above list of recommended SD cards to make things even simpler and ensure that you have unrestricted access to the a7S II’s full capabilities. 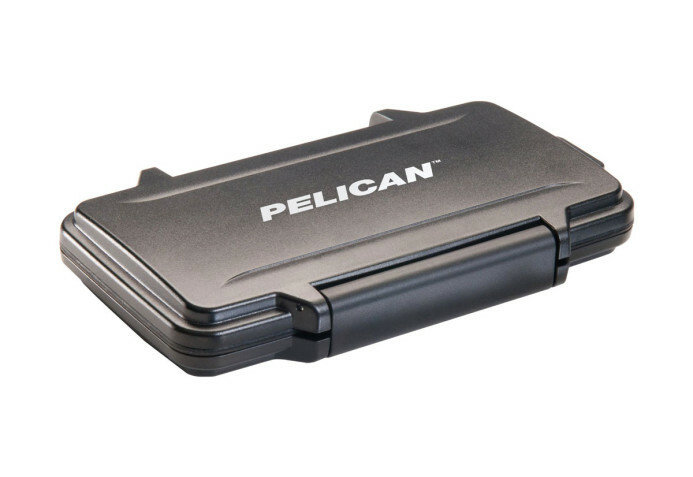 Pelican 915 SD Card Case — protect the footage on your SD cards with this shock-resistant hard case that’s backed by a lifetime warranty. Sony a7S II — the compact 4K camera with the high bitrates to match.